One of the divisive things amongst Jews today is the differences of customs and sensibilities between Ashkenazic (Western and Central European) Jews and Sephardic (from the Iberian Peninsula before the expulsion in 1492) Jews. A well known anecdote comes to mind told amongst Ashkenazim but which might actually have its roots in a traditional dispute between Sephardim and Ashkenazim. A young scholar from New York was invited to become Rabbi in a small community of elderly congregants in Chicago. On his very first Shabbat, a hot debate erupted as to whether one should or should not stand during the reading of the Ten Commandments in the Torah. The next day, the rabbi visited 98 year-old Mr. Katz in the nursing home. "Mr. Katz, I'm asking you, as the oldest member of the community," said the rabbi, "what is our synagogue's custom during the reading of the Ten Commandments?" "Why do you ask?" asked Mr. Katz. "Yesterday we read the Ten Commandments. Some people stood, some people sat. The ones standing started screaming at the ones sitting, telling them to stand up. The ones sitting started screaming at the ones standing, telling them to sit down." Interestingly, this dispute actually occurred in the Island of Rhodes, whose Jewish residents came from Spain after the expulsion in 1492 and followed Sephardic custom. For centuries, the Jews of Rhodes had the custom to sit during the reading of the Ten Commandments, so as not to show greater importance to one part of the Torah over another; it should all be considered equally Divine according to Jewish tradition. In the 18th century, however, there were some Jews who decided to stand during the reading of the Ten Commandments, upon which Rabbi Israel of Rhodes and Alexandria excommunication them for breaking the custom. The interesting point is that the custom in Ashkenazic countries is to stand during the reading of the Ten Commandments, although sit during all other readings. One can suggest then that the aforementioned story regarding a synagogue in Chicago might have been a mixed community of Ashkenazic and Sephardic Jews who prayed together. This would have created tension every so often due to their strongly held customs rooted in centuries of practice. The same is true regarding foods on Passover. Sephardim have numerous distinct foods on Passover, which Ashkenazim would be happy to partake, like kaftes de prasa y carna (leek and meat croquettes), megina (Matza meat pie), adafina (Shabbat stew), pastilles (meat filled potato croquettes), carchof mehshi (stuffed artichokes) and birmuelos (deep fried Matza doughnuts). However, a divisive custom between Ashkenazim and Sephardim is regarding the eating of legumes (kitniyot) on Passover. Traditionally, Sephardic Jews eat legumes and Ashkenazic Jews refrain. This difference in diet on Passover has become one of the most symbolic identifying factors between Sephardic and Ashkenazic Jews. What is the source of the disagreement? Maimonides (1138–1204) writes  that the prohibition against Chametz (leavened food) applies only to the five species of grain. They include wheat, rye, barley, oats, and spelt. However, kitniyot – e.g. rice, millet, beans, lentils and the like – do not become leavened. Even if one kneads rice flour with boiling water and covers it with fabric until it rises like dough that has become leavened, it is permitted to be eaten. This is not leavening but rather the decay of the flour. Maimonides, who came from Spain (Sephard, in Hebrew), is one of the sources of Sephardic tradition and he does not mention any prohibition against eating kitniyot on Passover. Rabbi Joseph Kairo (1488-1575), who was born in Spain and immigrated to Israel, is the author of the Shulchan Aruch (the Code of Jewish law) in 16th century and he also permits the eating of kitniyot, as Maimonides. In fact, the source in Jewish law for the distinction in grains on Passover is rooted in the 3rd century work of the Mishneh and the Talmud in 5th century. The Mishneh  writes that one can only fulfil the obligation to eat Matza on the first night of Passover with the five species of grain. The Talmud comments that the Mishneh excludes rice and millet and other grains which are permitted. The reason for this is because they do not become leaven but rather when they rise, they start to spoil. Thus, the tradition from the 3rd century has been to permit the eating of kitniyot on Passover. Where does, then, the source of the prohibition come from? One of the most important commentaries to Rabbi Joseph Kairo’s Shulchan Aruch is a work by Rabbi Moshe Isserles (1530 - 1572) who was an Ashkenazi rabbi and considered the ‘Maimonides of Polish Jewry.’ He writes that ‘some people have the custom to prohibit kitniyot and such is the custom in Ashkenazic countries’. He writes that this custom ‘should not be changed’. It is clear that Rabbi Moshe Isserles does not prohibit kitniyot for the same reason as the five grains. This is obvious from the fact that he qualifies his statement with the law that if rice by accident falls into a dish while cooking, it does not prohibit the dish. This is unlike Chametz (leavened from the five grains) that would prohibit a dish from being eaten even if a minute amount of Chametz falls in. It is clear then that the prohibition amongst Ashkenazic Jews against eating kitniyot isn’t fundamental, but rather stringency. If so what is the reason for this prohibition that seems to have developed in later generations? The reason is due to the concern that grain of the five species might become mixed together with the rice or other grains (Kitniyot) and when cooked together will become a mixture of Chametz. Another reason is one might confuse the law regarding the five species of grain, since grains of kitniyot look similar to the five species. This does not however justify the reason for the change in the law from the times of the Talmud when these reasons should have also applied. Rabbi Schneur Zalman of Liadi (1745-1812) explains in his code of Jewish Law that the above concern for confusion is due to the decline in fluency of what is prohibited and permitted according to Jewish law. Therefore, when a person observes the cooking of Kitniyot on Passover it might be assumed that the cooking of the five grains is also permitted. Thus, they forbid the cooking of all grains on Passover. The obvious conclusion from this discussion is that Sephardic Jews are permitted to eat kitniyot because this concern might not have been as relevant. This could have been due to the fact that the social conditions and restrictions placed on Sephardic Jews were not as severe as experienced by Ashkenazic Jews allowing for more dedication to the knowledge and study of Jewish law. This would be to their credit rather than a leniency. 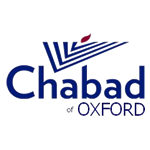 This site was established, due to popular demand, to make available Rabbi Eli Brackman's lectures, articles and essays on Jewish thought delivered at the Oxford University Chabad Society. Metzora in Manuscript: Why two names? Maimonides on Prophecy according to an Oxford Manuscript: To grant understanding or inspiration?